Our business is about drapery hardware for window covering professionals. We cater to drapery workrooms and manufacture one of the largest selections of custom hand forged drapery hardware and wrought iron drapery hardware anywhere. Wrought iron curtain rods, brackets, tiebacks, drapery rings, square drapery rings, and specialty hand forged drapery hardware. Traditional and contemporary drapery hardware designs, everything is manufactured and finished in our shop. We've been designing and fabricating custom metal work for over 30 years. 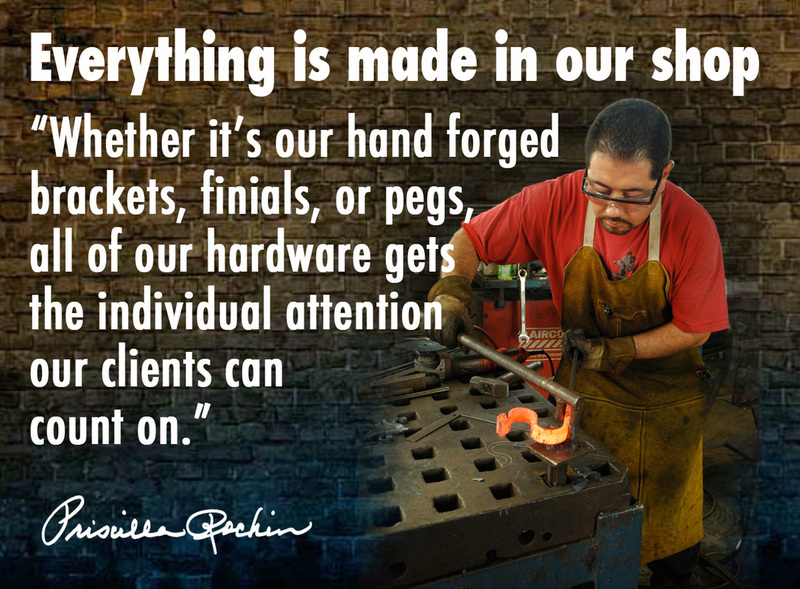 And we've been making custom drapery hardware, and metal products for many of the same clients for just about as long. We're proud of our reputation of doing what we promise. When you place your order, you are sent an order confirmation and a delivery date. You can count on us to keep your drapery installation on schedule. Wholesale Prices to the Industry!